Never seen before. Look what president uhuru did to an MP. Many social media users have been left wondering what President Uhuru Kenyatta was telling Mvita MP Shariff Nassir, after a photo of the head of state closely pointing a finger at the MP emerged. 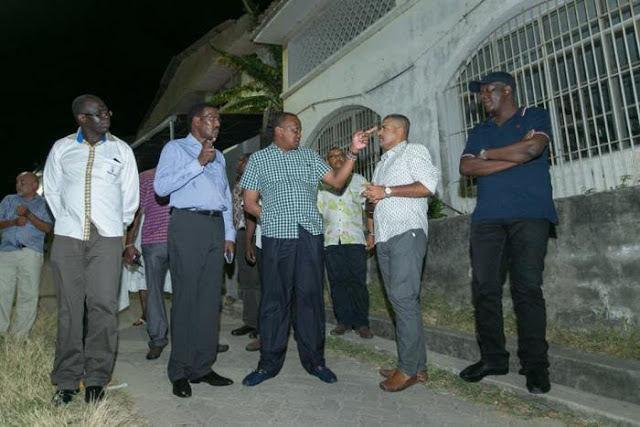 The President who was at the Old Town in Mombasa inspecting the progress of a street lighting project dubbed Mwangaza Mtaani,had his figure on the MP’s face and he looked to be communicating something very close to his heart. 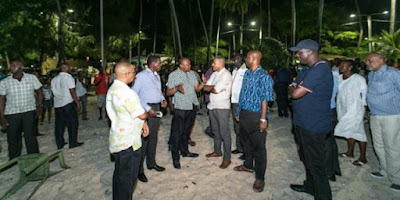 Other leaders who had accompanied the President included Kilifi North MP Gideon Mung'aro and Kenya Power CEO Ben Chumo who also seemed uneasy as the President was speaking.